What is an alien's favorite sport? If you live in Roswell, New Mexico you probably know the answer to "What is an alien's favorite sport?" 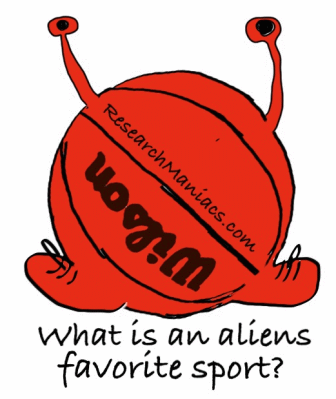 We asked a Roswell native this question, and she says that she has only seen the aliens play one kind sport. Alien's favorite sport: Spaceball. We have a large collection fun riddles. Can you solve them? If you can't solve any riddles, you may want to go to Riddle School.